Yoga today, is no longer restricted to hermits, saints, and sages; it has entered into our everyday lives and has aroused a worldwide awakening and acceptance in the last few decades. The science of Yoga and its techniques have now been reoriented to suit modern sociological needs and lifestyles. 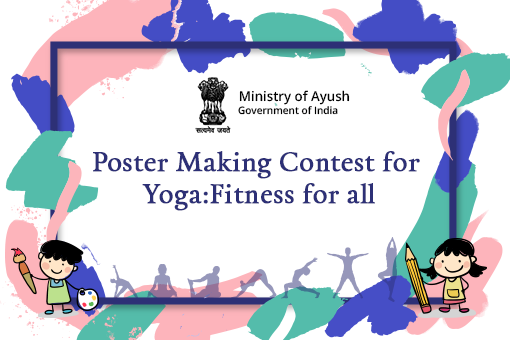 In view of forthcoming International Day of Yoga 2018, Ministry is conducting a Poster Competition for Students of Class I to V on the theme – “Yoga - Fitness for all”. Last date of submission is 15th June, 2018, at midnight.